We all need a break from time to time. A little breather in between assignments and a relaxing moment after classes. You know… a letting go moment. Are you thinking of doing the Trinity CertTESOL course in Rome? Then take it from me, you’ll be needing a drink afterwards. I don’t mean to sound like an alcoholic, but you know when you’re having one of those days. There were just sometimes that the intensive course was beating the group intensively. What was our method of recovery you may ask? Well that’s simple, a drink and delicious food to accompany it! Whether you decide to do the intensive 4-week course or the part-time 8-week course, you must indulge in Italian culture while you’re here and can have it so easily accessible. There’s nothing more Italian (maybe pizza actually) in the early evening than sitting down for aperitivo. You’re supposed to be happy, so why not get happy and a little buzzed while you’re at it too? For the price of one drink, you can get Italian-style tapas, cosy ambience and relaxation! Will be you arguing with that? These are the best aperitivo joints near and around the TEFL in Italy office. 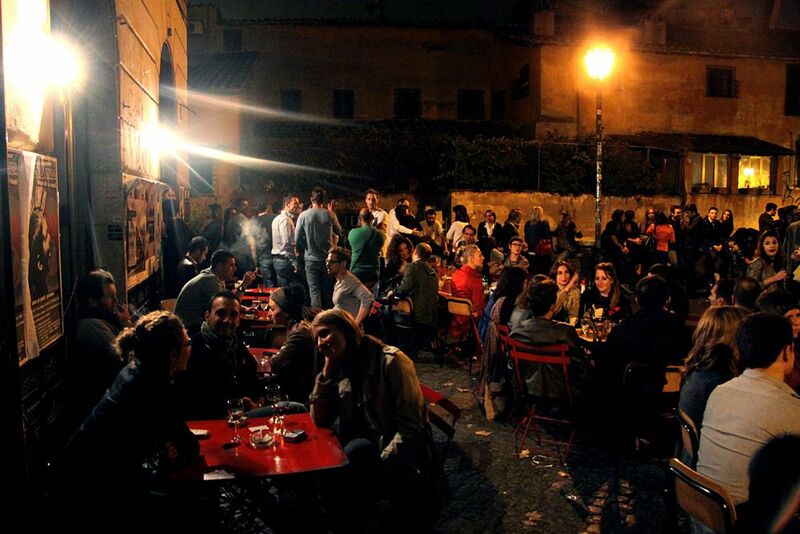 Trastevere, a lively, artsy, classic side of Rome, is matched perfectly with Freni e Frizioni. Right on the other side of the banks of the river, this place will get you in the right kind of mood. Here you can mingle on the terrace with tourists and locals alike. With excellent fresh drinks and buffet aperitivo at your disposal, you’re bound to forget about all the due dates even if just for a couple hours. You have to try the Hugo Spritz! Rejuvenates you right away. Right underneath the school, this place is all about location. The convenience is undeniable when it comes to The Public House. Walk out the school, walk down the stairs and a meter towards the left you’ll find it. After all the hard course work, you can find yourself here, lounging and unwinding. The rustic appearance totally takes you somewhere other than Rome once you step inside. If you’re a white wine kind of person, try the Pecorino or Falanghina here. It’ll hit gently and oh so delicately. 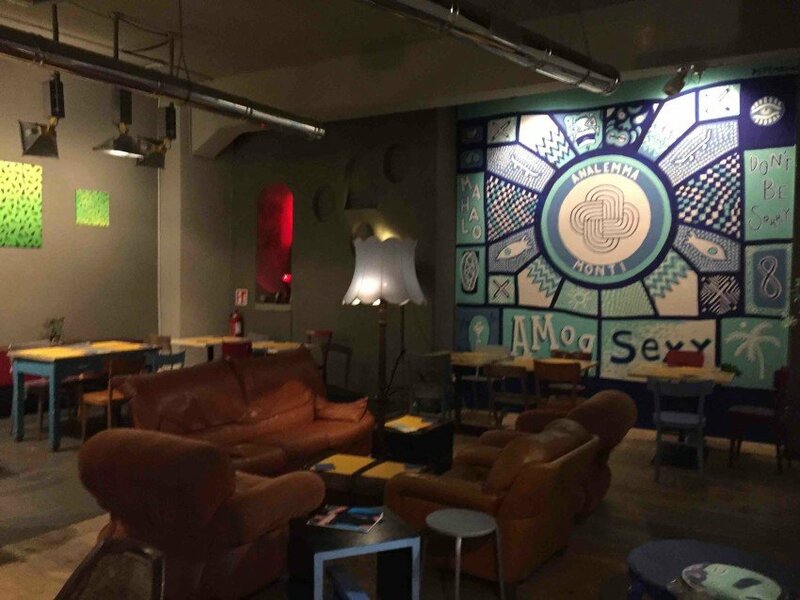 If all you can eat is you’re calling, then you’ll enjoy Analemma, this very casual and hip cocktail bar in the heart of Monti. Only about 10 minutes on foot from the school, and right next to the metro, it’s easy access for everyone. The dishes are vegetarian friendly, delicious and this place is even available for brunch too! For drinks, try anything and everything, it’s all funky, different and an adventure. Another one in Monti, since Monti is the place to be anyway. 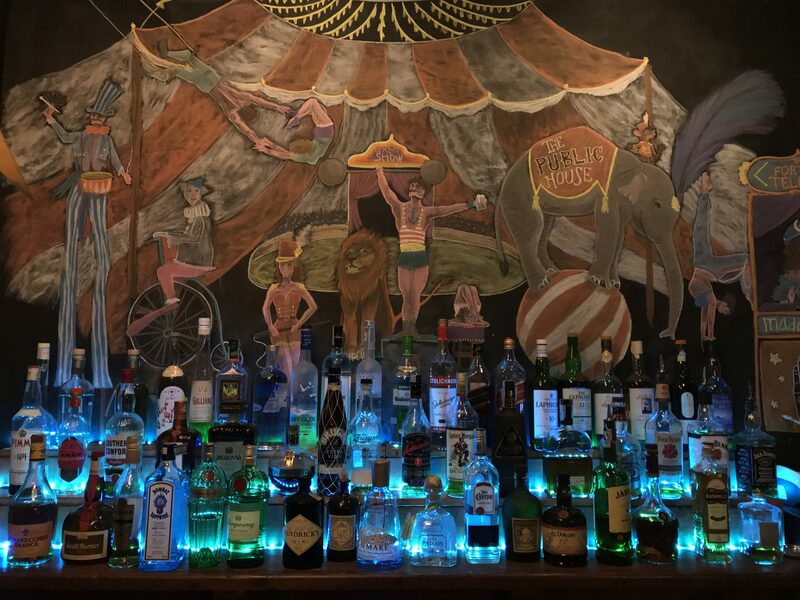 You can find BlackMarket, a hole in the wall, underground-speakeasy-style cocktail bar / art gallery evokes Berlin in its medium. 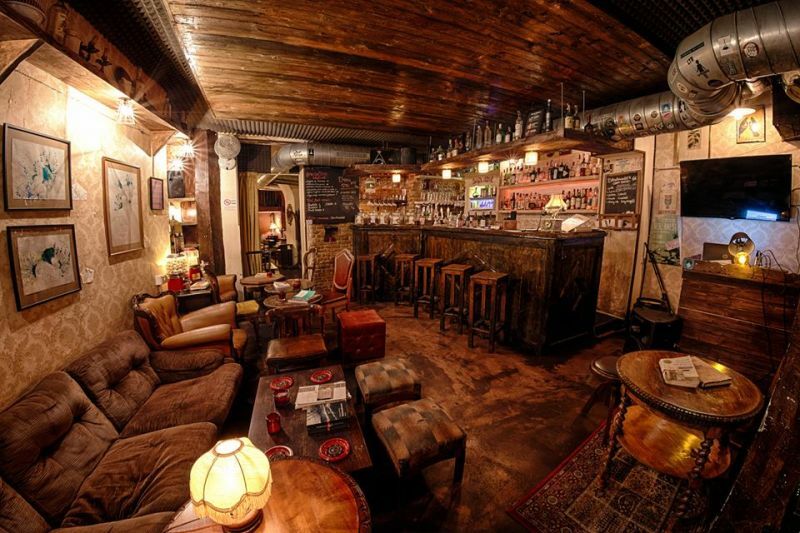 It’s eccentric, and made to give people a good time, with live bands and great mixologists. Listen to some music, drink, eat, all before having to run home to finish that Phonology Test. With this atmosphere, you’ll be craving a nice cognac.